We made it! 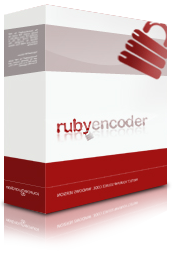 Today we officially launch RubyEncoder 1.0. May I, on behalf of Alex and myself, thank everyone who has participated in our beta - your help has been invaluable to help us to hone the product and thanks also to everyone who sent in suggestions to us. Its been a busy and stressful couple of weeks leading up to this day, but we're pleased to have a version out there that the general public can try and buy! As ever, let us know if you have any suggestions. We'd love to hear them.